It’s beginning to feel more and more like spring. I made this card to celebrate the beginning of the new season. I realized I used a lot of shades of pink in making this card. I think I got carried away, not to mention that that while distress the background the blending got away from me a bit. I wanted the blending to be a lot lighter but made a mistake in using too much ink in one spot of the background and then had to even it out with more distressing. However, the final effect wasn’t bad. 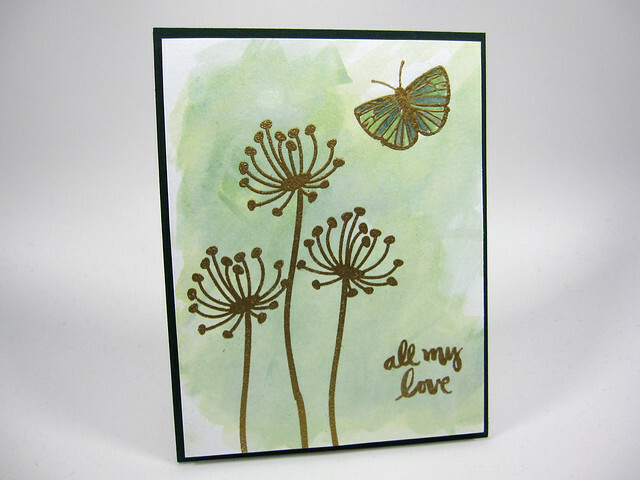 I like the fresh look of the card and the airiness of the butterflies. The large butterfly was first inked using a layered stamp set from Altenew and die cut using a coordinating die and mounted on fun foam for added dimension. Hope you are enjoying the beginning of Spring. Stamps: Altenew: Painted Butterflies; Papertrey Ink: Mini Blooms; Paper Smooches: Luminous Spring (for the sentiment); My Favorite Things: Distressed Patterns (for the scattered ink dots). Dies: Altenew: Painted Butterflies (coordinating dies for the stamp set by the same name); My Favorite Things Die-namics dies: Wonky Stitched Rectangles Stax. For the background: Worn Lipstick and Picked Raspberry (dots); Twisted Citron for dots around the sentiment; Papertrey Ink: Bright Buttercup (dots around the sentiment). For the sentiment and smaller butterflies: Ranger Archival Ink: Watering Can. 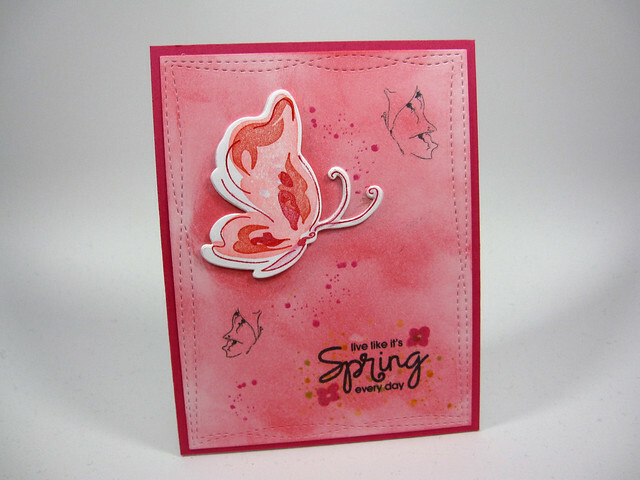 For the large butterfly: Layered stamping using Hero Arts: Holiday Reds by Lia Griffith. 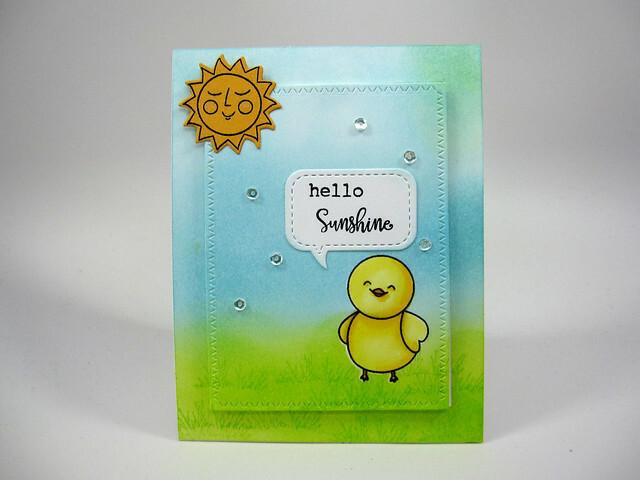 Neenah Solar White 80# card front; Neenah Solar White 110# for card base; Papertrey Ink: Raspberry Fizz for matting the card front. Fun foam (for backing on large butterfly).